“A Time to Break Silence” [print version] [audio version] is an anti-war speech by Martin Luther King Jr. This speech is amazing. 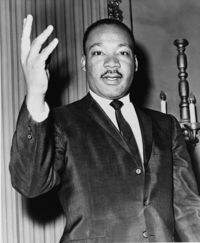 Apparently, after the civil rights movement, Martin King started fighting for the poor– all the poor. He realized that ‘civil rights’ wasn’t a racial issue alone. And the mainstream turned on him because they weren’t willing to see the additional evils of this country… they could deal with racism, perhaps because of Lincoln, but he was attacking some things about America of which it was (and is) still proud. That’s what I heard before today. This speech is about Vietnam; I am thrilled to find that how he thinks is so familiar, but also I am disgusted that so many things are the same. Reminds me of words used by Robert Bowman quite recently, about how to handle terrorism: their legitimate grievances. Kind of a sad thing… I don’t think I respected MLK Jr. until today. a Guest. M L King Jr.
Death is inevitable. But to die standing tall or cowering silent in a corner is a choice. Indeed. Another powerful social reformer like Dr. King would have W and the Republicans running scared. We should all pray for one to rise up. It’s a great pity that there is no leader today who can speak with such eloquence and certainty about the cause of peace. In the Sixties, Dr. King, Robert Kennedy, & Malcolm X were all murdered after they began speaking out on the connection between racism, economic exploitation & war. 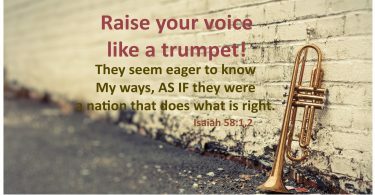 The “powers-that-be” will do everything necessary to keep the “blessed” people Jesus spoke of in the Beatitudes from making common cause. He was murdered, too.